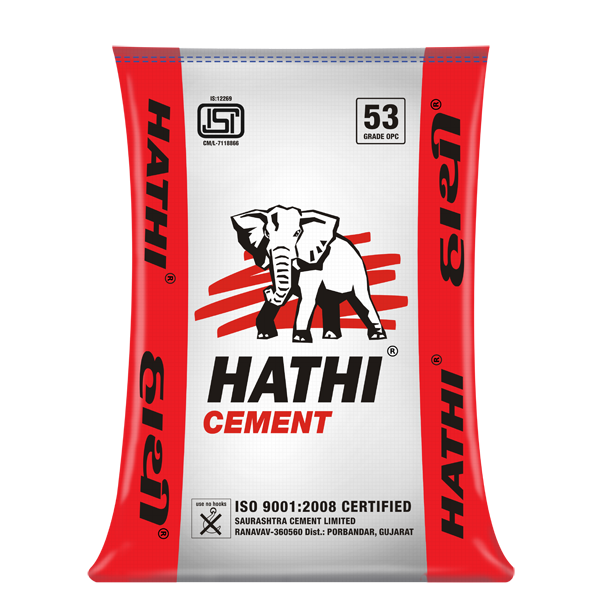 High grade cement with a consistent 28 days compressive strength of the order of 60-65 Mpa. Particularly useful for structural applications involving concrete of high strength. It is very useful for sub-soil construction (foundation). Protects construction for a lifetime. • Controlled Heat of Hydration (HOH): C3A, C3S and C2S scientifically balanced to regulate heat of hydration. less consumption of water both during construction and curing..
of cracks in 8-12 months of work. 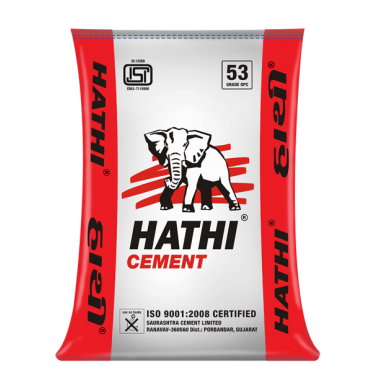 HATHI has low Magnesia ( less than 0.85%) making it crack resistant cement. • Low Alkali & Chlorides: Alkali cause expansion & permit moisture ingress, causing corrosion of reinforcement. It is very useful for sub-soil construction (foundation). Protects construction for a lifetime.